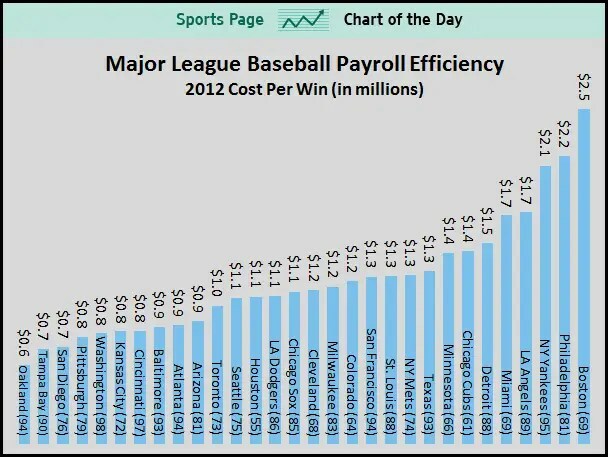 »General Observation»Baseball’s Disparity is NOT the Fault of Capitalism. There are plenty of small market baseball fans, who also happen to be communists, who believe that the difference in the Houston Astros ($25m Payroll) and the New York Yankees (25m per back up catcher) is the fault of capitalisms cruelty. It is not. Baseball’s woes are the fault of their collective owners and league leadership. Here are 3 reasons why capitalism is not the problem. 1. Despite the difference in the payroll, the ‘other half’ of baseball has been represented often in the playoffs throughout the years. The Yankees, who spend more than most teams combined, have actually only won the World Series once in 13 years. So if the argument is that capitalism chooses winners and losers it’s doing a terrible job for the highest bidder.The teams with less capital find ways to win through other means than money. This is capitalism at it’s best. 2. Capitalism teaches that we are not to simply defeat competition, but eliminate it. In the event that the Baltimore Orioles, Tampa Rays, and Toronto Blue Jays were not simply beaten but eliminated, the Yankees would have no one to play and therefore they would cease to exist. If Walmart eliminated it’s competition it would thrive. Capitalism does not demand that our best 29 competitors remain relevant. Baseball is an industry unto itself. The teams are like company divisions fighting for the right to be employee of the month. Sure one gets budgeted more money, tough, play the cards you’re dealt. 3. Finally, capitalism is about the consumer having a choice. As a Pittsburgher, I am without a choice on which team to support. I was raised here and I will die here. I will support the Pirates regardless, simply due to my birth. That’s not choice! In a capitalistic society I would have moved on to another team following the first or second time that they failed to provide the service or product I would like. But, since there is no ‘choice’ but to be a Pirate fan I am obligated to retain their services as my team, despite their annual shortcomings and failures. Were the marketplace given any option we would have moved to change the ownership, demanded new employees and services, and kept the prices at a level equal to their product through traditional means like withholding support. This is a sports town, we don’t withhold support, we consider our fandom a right of passage. We don’t simply cast our fandom away. We have no choice. AND…even if we tried, Baseball would have come to the rescue of it’s franchise through the shared wealth from other clubs to keep it afloat. Ask Ames how it felt when Major League Department Stores came to it’s rescue…oh, it didn’t happen < That’s Capitalism! So before you suggest that the Pirates having 21 straight losing seasons is somehow the fault of capitalism and not the responsibility of ownership, management, and poor decisions over two decades, think again. Take away 2009 and the Yankees have the exact same number of rings as the Pirates over the past 13 years. The system doesn’t favor Pittsburgh, but it’s not capitalism either. What three stats for MLB pitching would I put together to help out in betting? SIERA, bullpen ERA, and home field advantage are the 3 I would vote for.